As a company who specialises in security, including supplying and installing products such as CCTV, burglar alarms and fire alarms in Bristol, we know the importance of having a good security system in place. A lot of our customers only realise the need for good security after an incident has happened – something that we don’t wish on anyone. 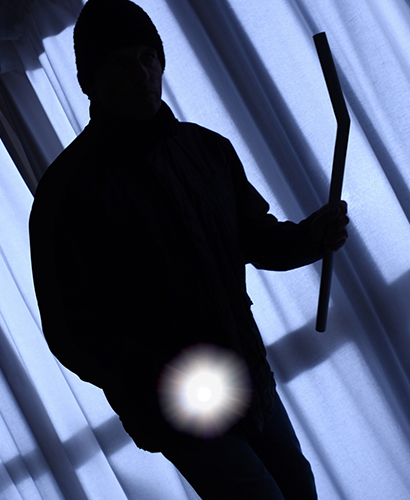 Many are misinformed about burglaries, whether this is from movies or TV shows. They still expect them to only happen at night, by strangers dressed all in black. Unfortunately, this isn’t remotely true – and it’s important that you know the real facts. We’ve put together a helpful guide to inform you on the times in which burglaries are most likely to occur, so that you can protect yourself and make sure that your security is working efficiently. Our team: As experts in the security industry, we are often able to understand how criminals think, allowing us to design security system to stop them in their tracks. Thinking like a criminal could be a good way to plan out your security, working with our team you can built a security strategy that best suits your individual property. The fact that most recorded burglaries take place during the day will come as a big shock to a lot of people. Gone are the times in which they would strike in the dark at night, most modern criminals are likely to strike when they know the house is going to be empty. In most homes, everyone is out at work or school between the hours of 10-3, meaning that the house should be empty and the streets quiet. They will try to appear as innocent as possible by simply knocking on your door to make sure that no one is home. When they are positive, they will look for the opportunity to enter the house. You need to take the appropriate measures to make sure that your home is protected from theft. Make sure you check that all your windows and doors are locked when away from the house – then check them again. It doesn’t matter if you’re simply popping to the shop, you should never leave it unlocked. Apart from locking your doors, you should have good security measures in place. This could include a burglar alarm, CCTV, and motion sensors – this will put off anyone thinking about breaking in. What happens when the weather is warm that could potentially be inviting burglars into your home? Everyone leaves their windows open. 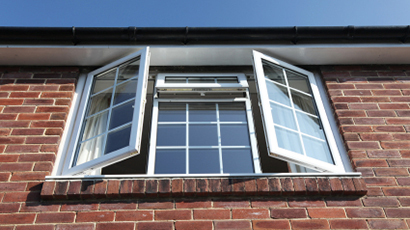 As the weather starts to warm up, people are more likely to leave the house without closing their windows. Whether done by accident or purposely left open, your windows are like a welcome sign to passing opportunists. They will be looking for the easiest possible way into your home – you are making it too easy! Summer is also a time where people go on holiday and there is nothing more tempting than a house that will be empty for a week or two. This is why it’s important now to advertise the fact that you’re going to be away. If you would like to speak to a professional about updating your security at home, please don’t hesitate to contact us. We have a highly trained team who are dedicated to providing the highest standard of customer service. For more information, just give us a call on 01225 800 602 and a member of our team will be happy to help. and services that we offer.